The performance of the front suspension depends almost entirely on this one bushing. 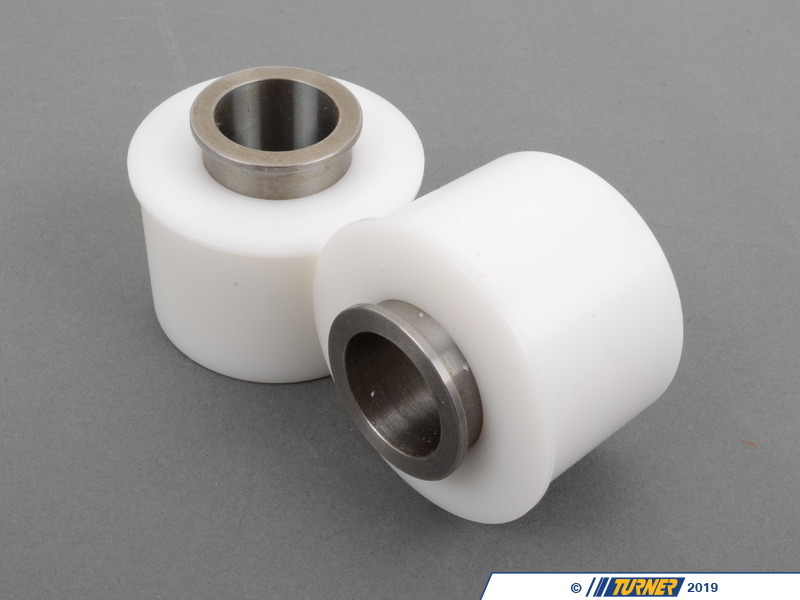 The BMW front control arm mounts to the chassis with this bushing at the back. 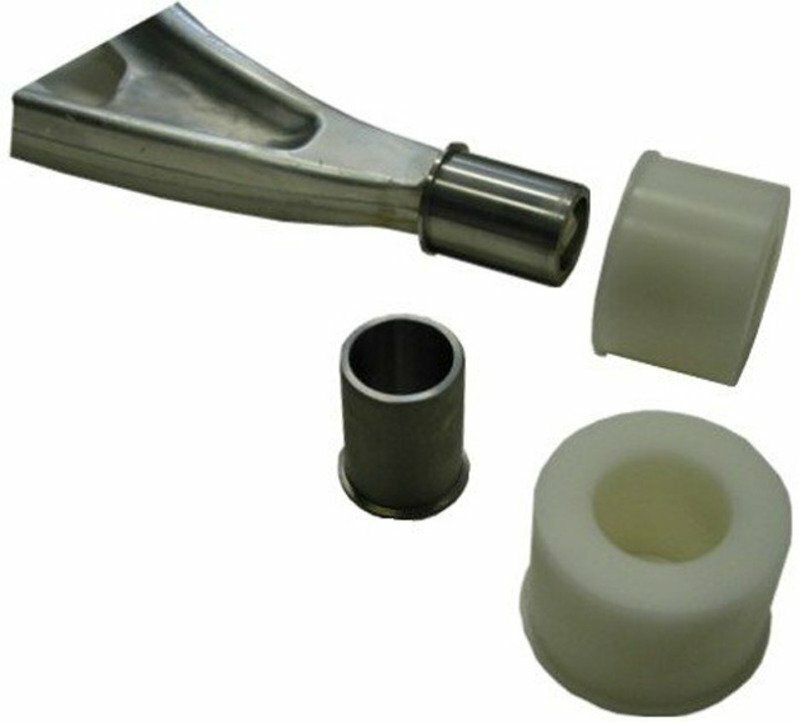 If the original rubber has worn it will have a major impact on the alignment, steering, and braking. This is why race teams like ours ditch the factory rubber and put something more solid in its place. 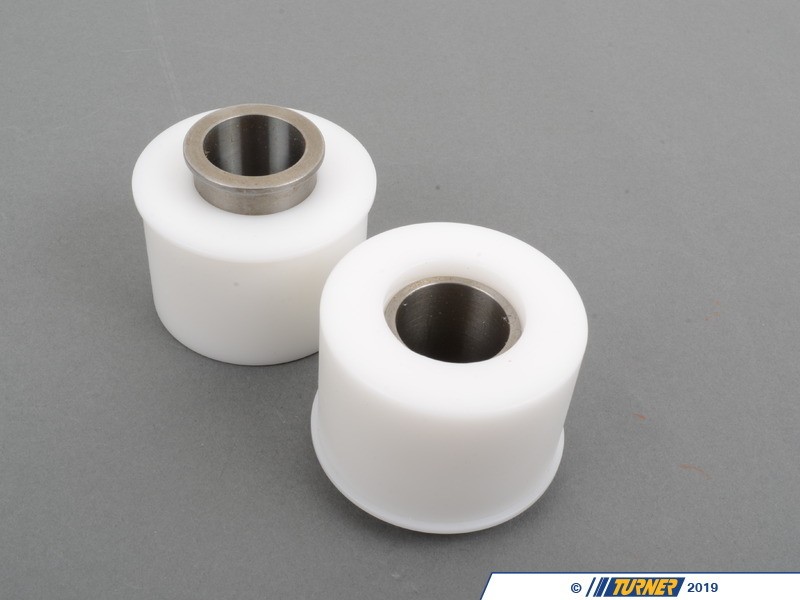 The car will be more responsive due to less deflection and the bushings will last longer. 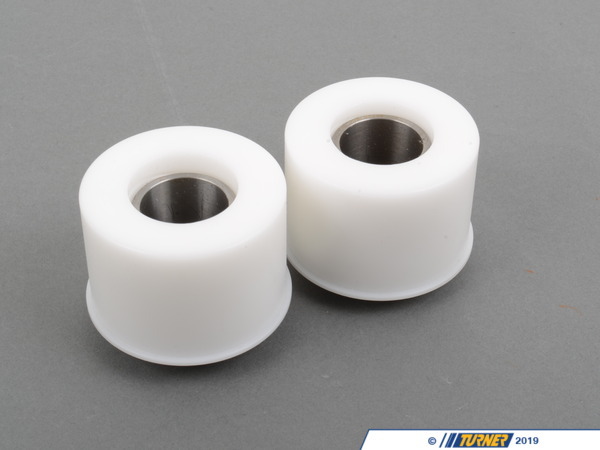 These Delrin bushings use an aluminum sleeve and are nearly solid to conform to many racing series rules, including the Grand Am Cup series that we won races and championships in.